The CEO of AIG Media Pro, Adeyinka Igbinoba, has declared that the need for high quality videos in Nollywood cannot be over-emphasised. She made this declaration during the unveiling of a new digital camera, Canon C700 recently, courtesy AIG Media Pro, in collaboration with Canon at its office in Lekki, Lagos. 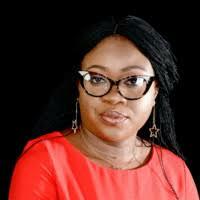 Igbinoba said: “Nollywood needs high quality videos and the need cannot be over-emphasised if we are to sustain the recent gains of the industry. As a media rental outfit, we will partner with producers to shoot high quality movies using state-of-the-art cameras like the C700 which will result in better production. This is the first time that the camera will be launched in Africa and it will take Nollywood to the next level. “In the next few years, it’s going to be massive with the level and quality of equipment that we are bringing into the industry. Present at the event were industry stakeholders including moviemaker, Kunle Afolayan among a host of others.